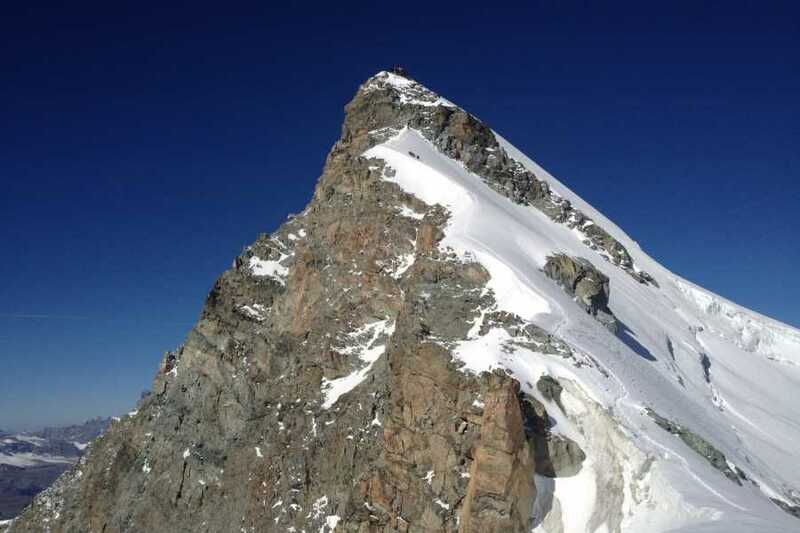 Allalinhorn East Ridge 4027m - Saas-Fee Guides - The mountain guides of the Saas-Fee valley. 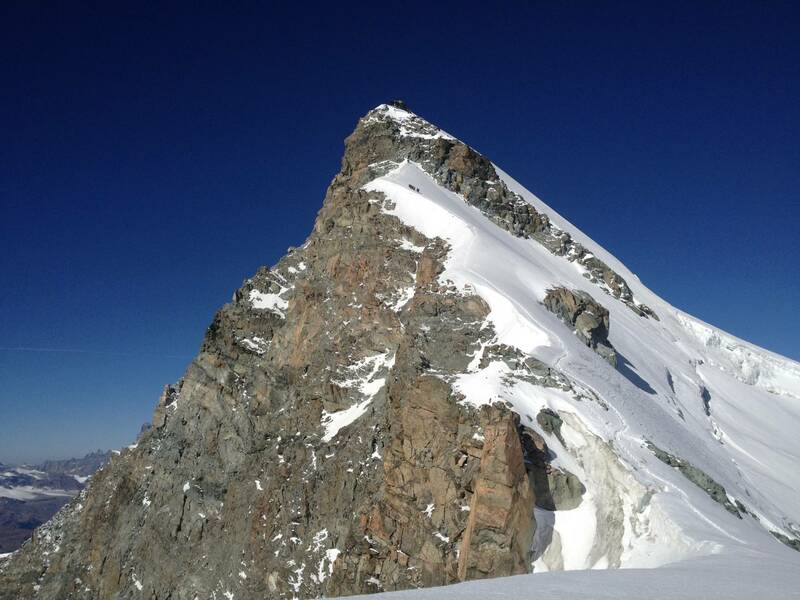 The Hohlaubgrat (East Ridge) of the Allalin is tranquil and scenically grand. It is a very popular climb that is not too demanding. The point of departure is the Hohlaub/Metro-Window at 3200m. Once exiting the tunnel you step into a different world free from skiers and tourists. The trail leads you along an impressive snow ridge that provides excellent views and assumes the full character of an alpine ascent. Before reaching the summit you will conquer a short, but exhilarating rock step that will require easy scrambling. The descent is via the normal route.